23/03/15 -- EU grains closed mixed, having been higher for much of the day. A firmer euro may have taken some of the shine off early Paris gains. The day ended with new front month May 15 London wheat unchanged at GBP124.10/tonne, May 15 Paris wheat fell EUR1.25/tonne to EUR195.50/tonne, Jun 15 Paris corn dipped EUR0.50/tonne to EUR163.25/tonne and May 15 Paris rapeseed was up EUR0.25/tonne at EUR371.50/tonne. The EU Commission's MARS unit released their first estimates for 2015 yields today. Overall they put EU-28 soft wheat yields down 4,8% at 5.79 MT/ha, with barley yields falling 5.5% to 4.6 MT/ha, corn yields down 4.3% to 7.19 MT/ha and those of OSR slumping 9.4% to 3.24 MT/ha. Soil water availability is becoming a concern in eastern Germany, the Czech Republic and Poland, they said. Specifically they peg German soft wheat yields down 11.7%, with barley yields falling 8.3% and OSR yields dipping 14.1% this year. In the UK, we will see wheat yields decline 6.3%, barley yields will drop 7.1%, although those of OSR will only fall 0.9%, they reckon. Large yield falls will also come from the Czech Republic, Hungary, Poland and Romania, they add. 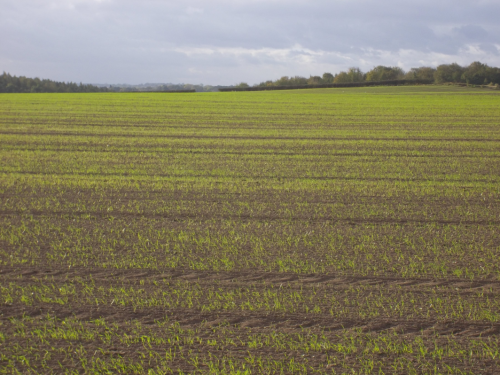 "Moreover, winter crop establishment was weaker than usual in these regions, as a consequence of insufficient rain and dry soil conditions at the start of the crop season last autumn," they add. US wheat prices rose today, with a hard frost in the forecast to reach far south into Nebraska, Kansas, Oklahoma and Colorado this week. Untimely and unwanted heavy rains and hail are also being reported to have damaged the Indian wheat crop just as harvesting was about to begin. Production there could fall 30-50% this year, according to SkyMet. That sounds like a huge amount as India's crop was expected to be close on 100 MMT this year, so this would be a near 30-50 MMT loss if correct, but the news may have lent some support to today's trade nevertheless. Bangladesh re-issued a tender to buy 100 TMT of wheat. Russia said that they had exported only 829 TMT of wheat between Feb 1 - Mar 18 (ie since the new export duty came into force), which is 34% less than a year ago.